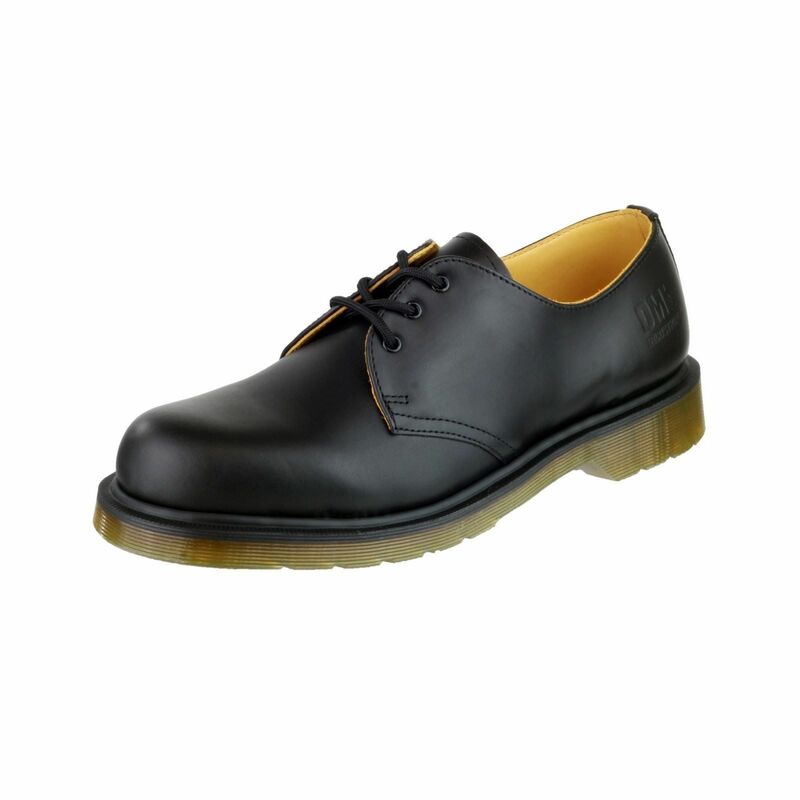 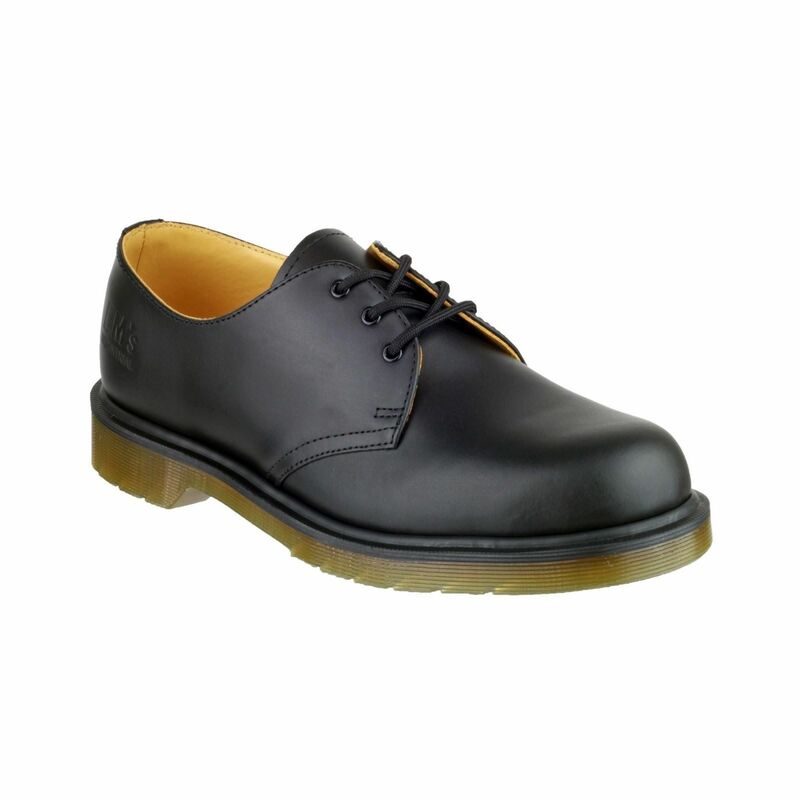 Classic Dr. Martens 3-eye occupational shoe with slip-resisTant outsole. 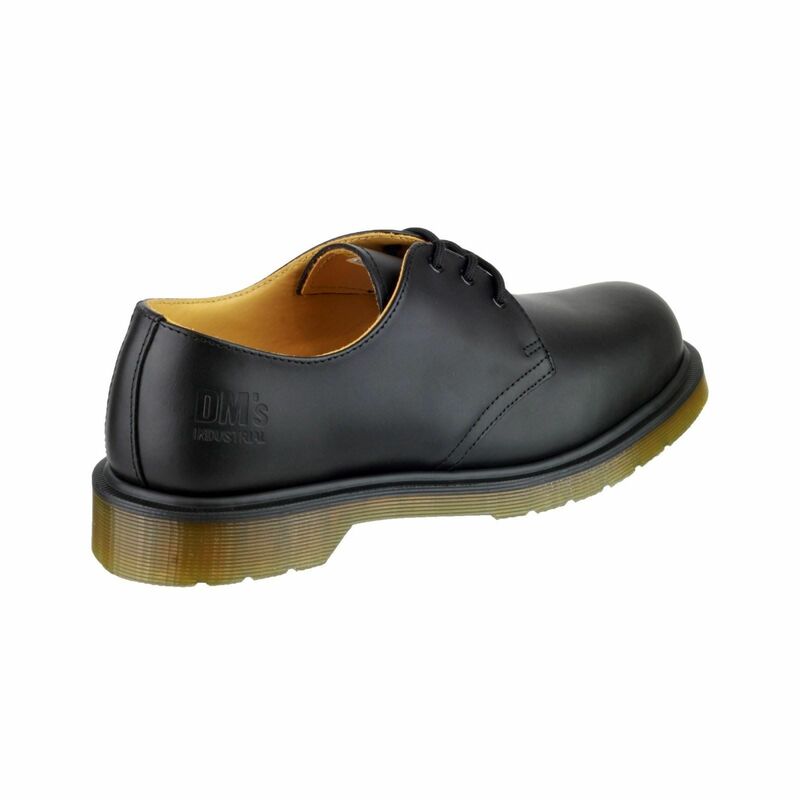 STandard: EN20347:2012 OB SRA E FO. 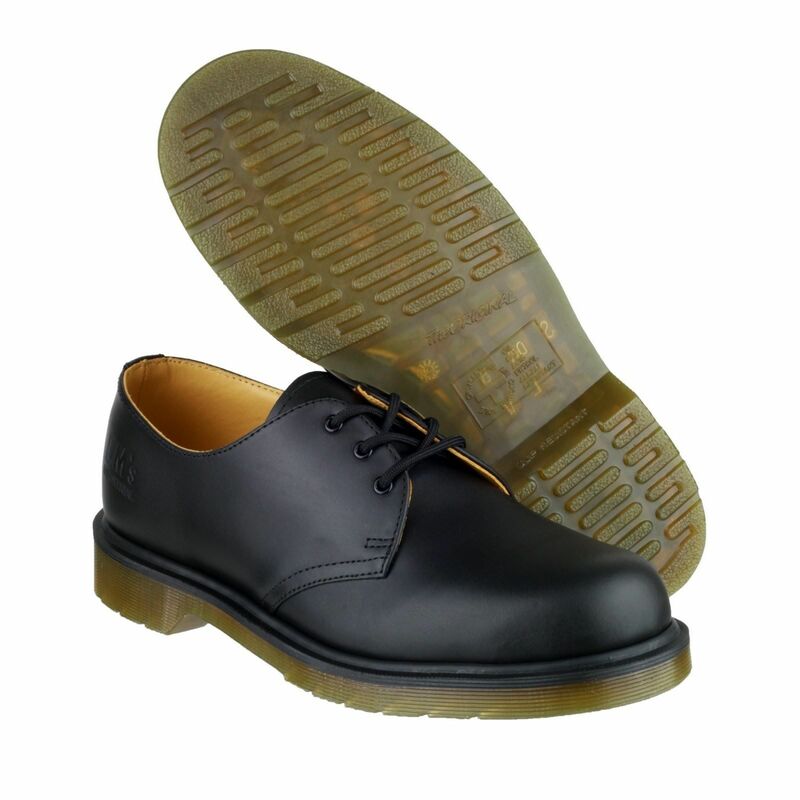 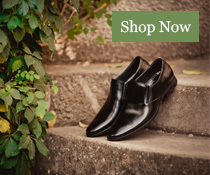 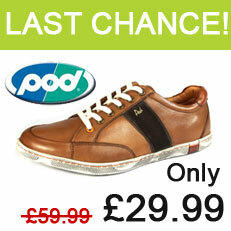 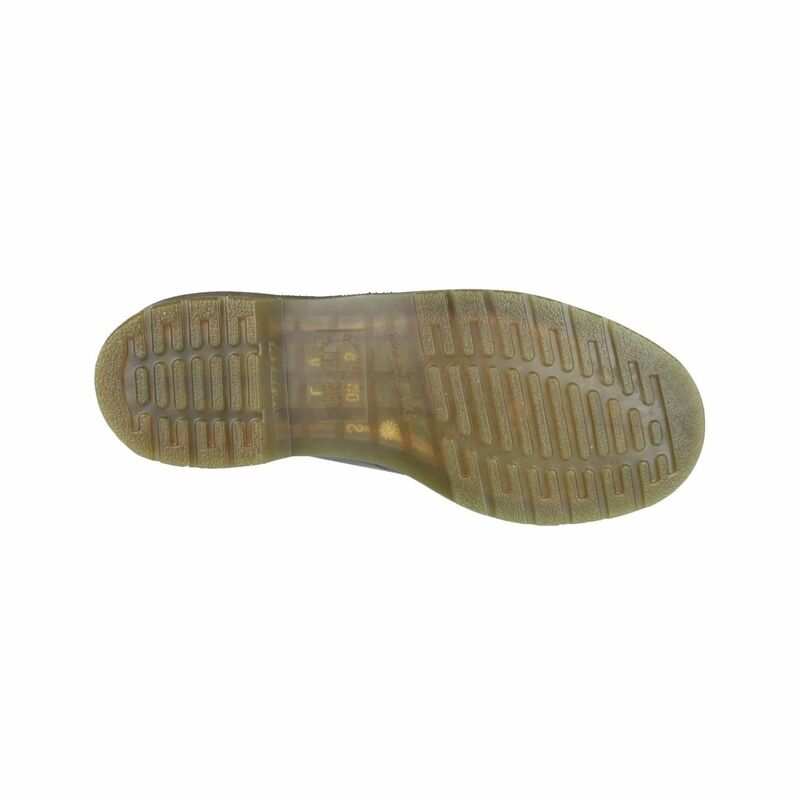 Slip resisTant, Fuel oil resisTant outsole.